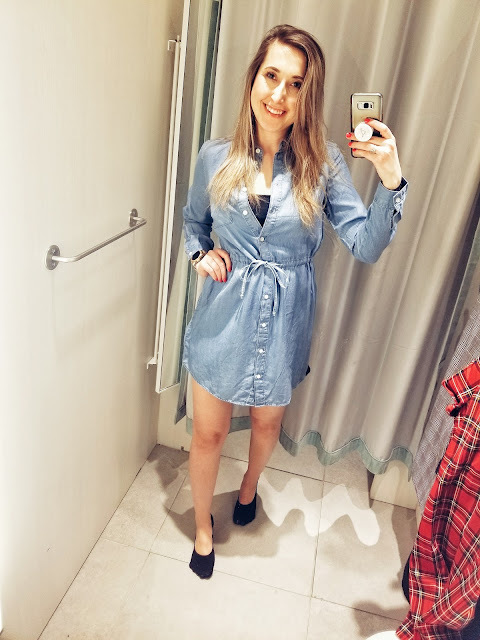 xo ♥ amela: H&M Haul! 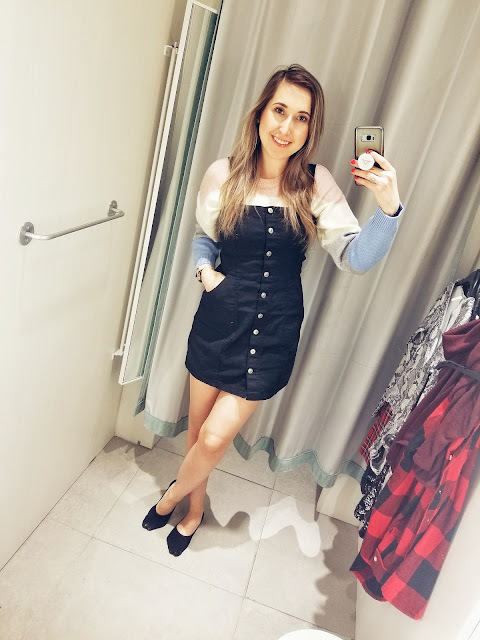 I recently made some purchases at H&M online and they were less than what I expected when they came in the mail so I had to end up returning them. While I was there, I decided to shop and see if there's anything cute that I would like and boy did I liiiike it! 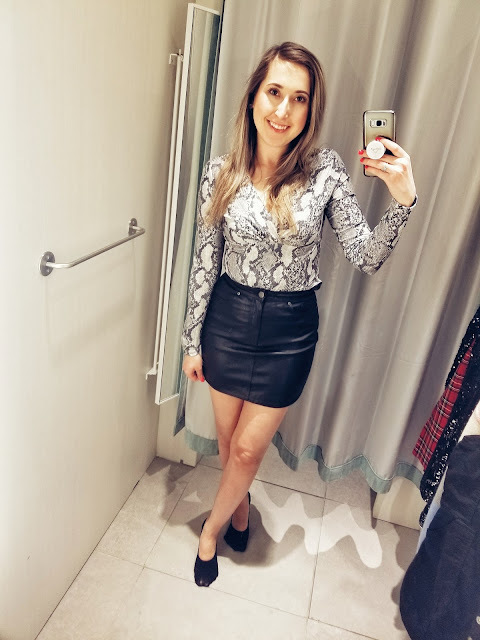 Join me on my H&M shopping journey! 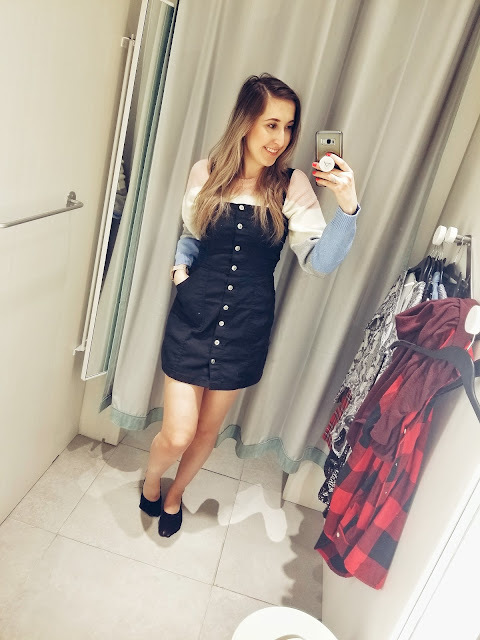 I have linked everything below, you can click each picture to view the outfits I linked, or you can click 'Shop My Blog' and it will be there as well! Click the picture above to shop this look! First up is this suuuuper cute snakeskin bodysuit (click here). I am OBSESSED with it!! It's actually really thick so it's perfect to wear in the chillier times. I wouldn't go as far to say it's for winter wear, but definitely a good long sleeve t-shirt. I will admit that I wasn't too sure about the weird 'V line' but honestly, it compliments sooo well and makes you looks super great! I am obsessed! This skirt is a cute faux leather mini skirt (click here) and I think the two just pair sooo beautifully. I think this would be a great outfit to wear out on a date or to go out with girlfriends. The top is true to size & I would size up one or even two for the skirt! 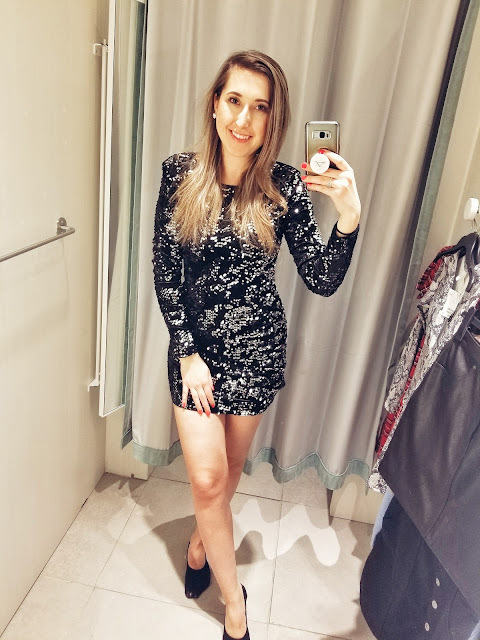 Next up is this super sparkly and cute black sequin dress (click here). It's thick and double lined material. I know usually sequin dresses are itchy but because of the double lining, this material is not itchy one bit! I love that it's long sleeve and a neutral color because you can really pair it with anything. You can pair it with a pop of color - pink or red for Valentine's Day - with some heels, lipstick, and purse, and you're good to go! I would recommend sizing up 1 number if you want more of a loose, comfortable look, otherwise, it's true to size! Next up is this suuuper cute overall dress (click here) and striped sweater combo (click here)! Striped sweaters have been totally in this season so I thought pairing it with overalls would be the cuuutest! I will say that if you want to be comfortable with a sweater, size up in the overall dress. Otherwise, if you plan on wearing a thin shirt, stay true to size! You can pair this with some cute booties or even flats to finish off the look. I think I would wear baby pink shoes, like these (click here). 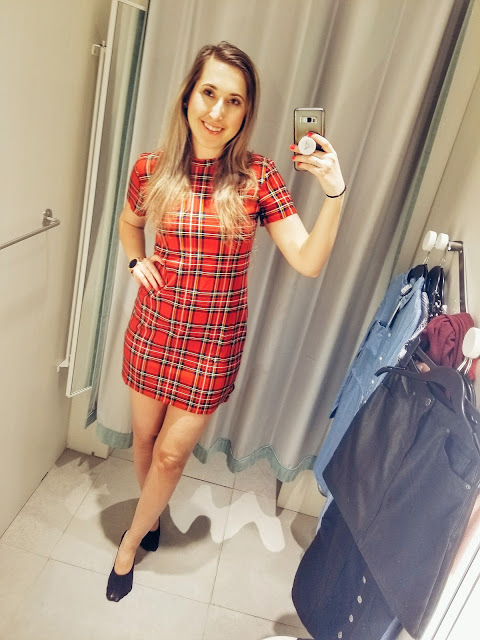 This red dress totally reminds me of Clueless (as if!!) except it's red and not yellow checkered. This pattern is totally coming back and good thing it's on sale !! The material is thick and super comfy! You can pair it with some white flats or even some black ones with a black purse. I went with one size up and it was perfect! 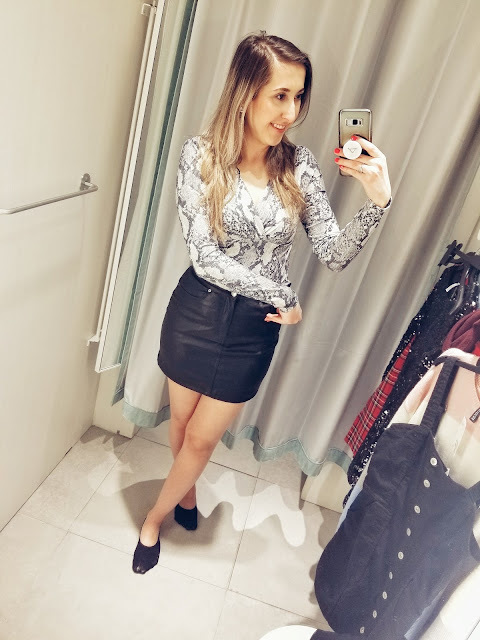 They no longer have this pattern online, but they do have some other cute ones, like cheetah, (click here) but you can always try your local H&M to see if they have it! 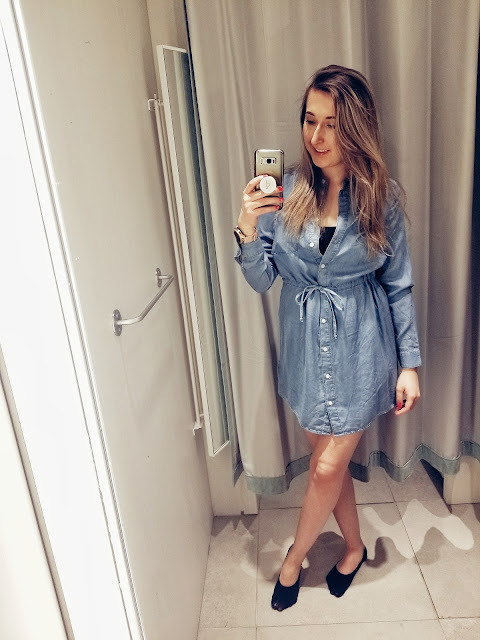 Finally this denim dress (click here)! Since denim is also making a comeback (90s is the best generation, no argument there) this dress is perfect! You can button or unbutton as much as you want. It's super lightweight and the middle section you can tie as much or as little as you'd like. I think this is a great summer dress because of how lightweight it is. This would look cute with some white flats or even these black flats (click here). These looks are mostly all on sale in store so if you have an H&M near you, go check them out! If not, the prices on the website are reflected pretty low. I'm hoping they will go on sale online as well.. fingers crossed! !